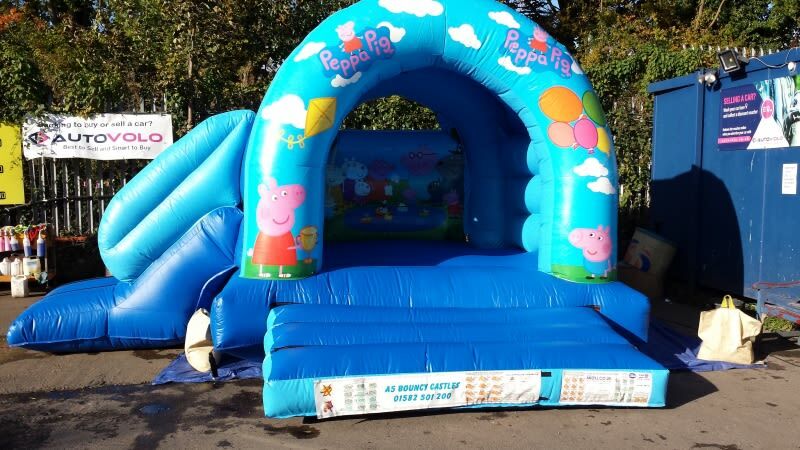 A sure-fire hit with the little ones, this friendly and colourful Peppa Pig combi bouncy castle is fun for even the smallest bouncers. Pop inside - your favourite characters can’t wait to meet you! 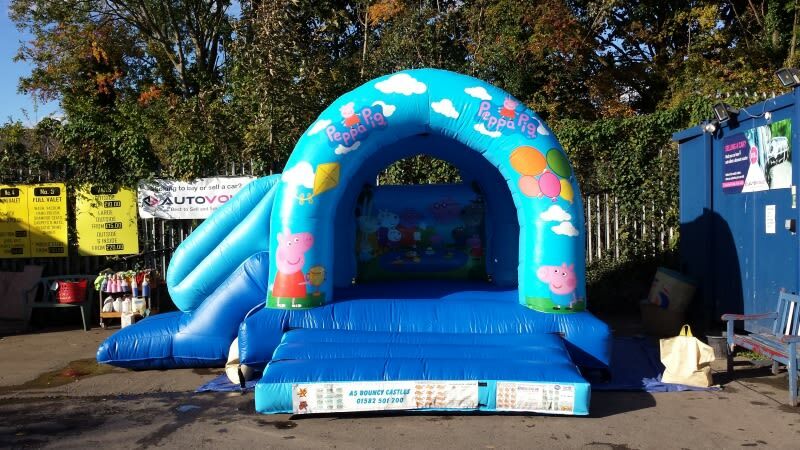 This bouncy castle will fit in most back gardens and includes a sun/shower cover so the British weather won’t spoil your fun! Remember this castle has a slide so your garden has to be at least 24feet wide. Peppa pig can be fitted with Lazer lights and bluetooth music for an extra charge, click on product extras.